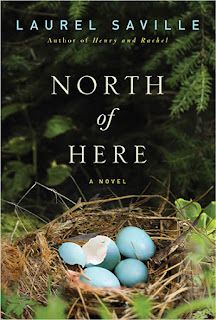 The Page 69 Test: "North of Here"
Laurel Saville has a BA in English Literature from New York University and an MFA in Creative Writing and Literature from the Writing Seminars at Bennington College. To Darius, this wasn’t much money. Typical of his frugal grandfather. Enough to assist, but not enough for financial independence. However, Darius was beginning to think his material needs were far fewer and less ambitious than he had once thought. In fact, he was beginning to think that the expensive materialism he had seen all around him growing up—$16 cocktails, $50,000 cars, $250 shoes—wasn’t for him at all. He liked his $3 premade submarine sandwiches and the coffee he could buy for pocket change. In two months at the camp, he plowed through every paperback. Some he read twice. He began to seek out books at the little library in town. Then he drove to a bookstore in Plattsburgh. He read about Hinduism, Buddhism, Taoism. He read apocalyptic, speculative, and science fiction titles. He read back-to-nature treatises. For the first time in his life, he considered the degradations of mankind and the abuse humans had heaped on the planet. As the summer slipped away and the days became crisp, when the day approached that he was supposed to be sitting in a college seminar, he cut up the credit cards his parents had supplied him with as a buffer against the bruising uncertainties of the world and mailed them the pieces in an envelope with no return address. The weathered FOR SALE sign was tipped over, sticking from the ground as if it had been struck by a plow the winter before. Or maybe several winters before. A vine had wrapped itself around the post, and a tendril hanging over the board waved at him in a vaguely lascivious way, like a woman at a window. 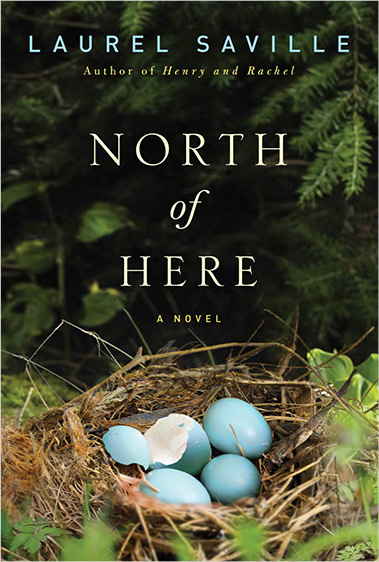 The excerpt above is from the hardcover version of North of Here. It describes a rather pivotal moment in Darius’s self-conscious re-invention from preppy college dropout to commune guru. He has been lost and wandering for some months, vaguely trying to figure out what to do with himself. A small, unexpected inheritance and a bored perusal of an unhappy woman’s books has given him just enough money and information about alternative culture to be dangerous. Now he has the freedom to find a piece of property so he can enact the inchoate plan forming in his mind. While at this stage, he still seems a lightweight doomed to fail, as the story progresses, we see that the danger he poses is much more literal than we expected.